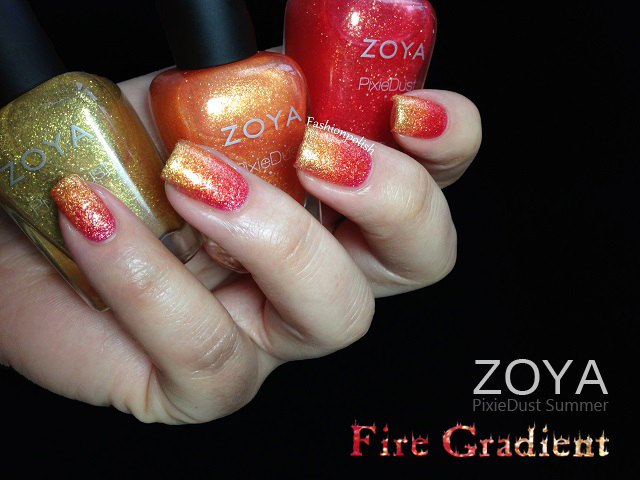 Fashion Polish: Zoya Pixie Dust Summer Edition Fire Gradient! 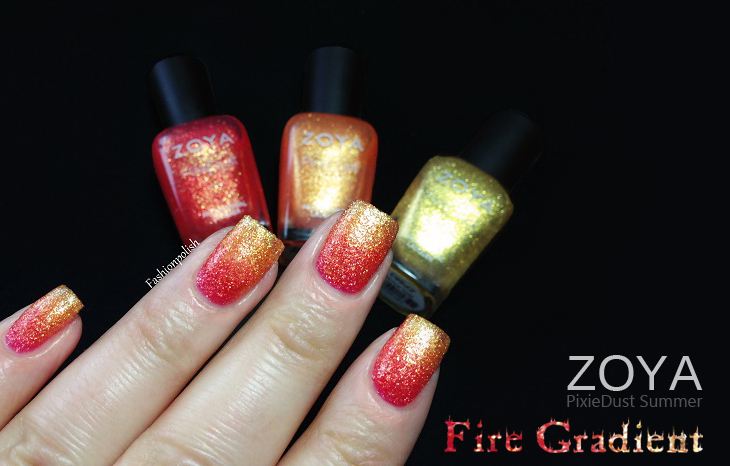 Zoya Pixie Dust Summer Edition Fire Gradient! 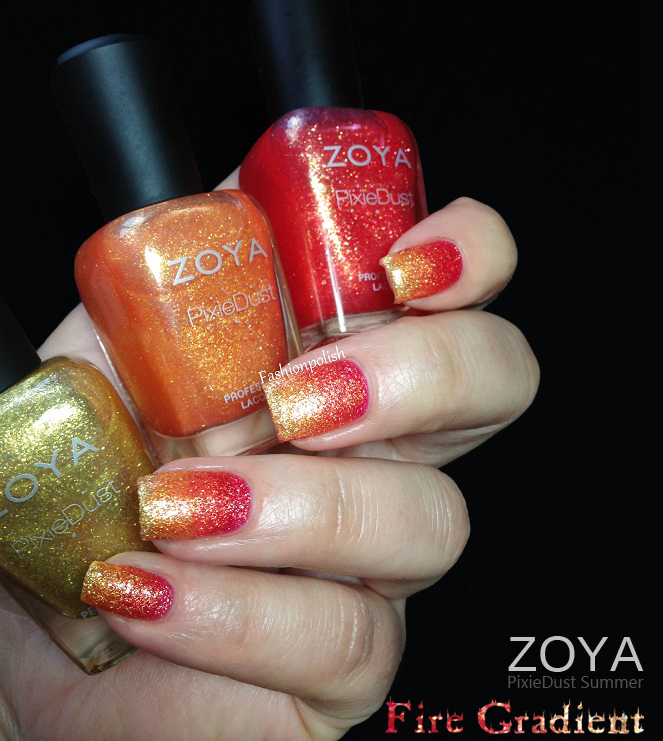 Last night when I posted my Zoya Pixie Dust Summer Edition review I promised you a little surprise involving Solange, Beatrix and Destiny so here it is! I didn't use any sponge but simply "brushed" them one over the other, starting with two thin coats of Destiny and then slowly adding Beatrix and Solange. It's much less messy and works great with shimmers and glitters. I'll try and post a tutorial very soon. 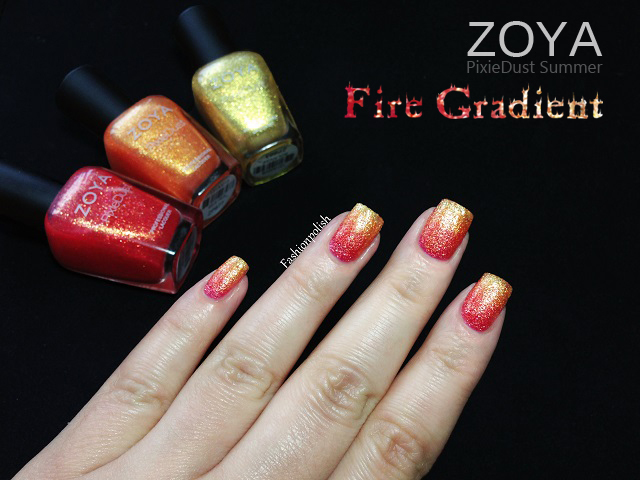 In the meanwhile, here's the matte textured "Fire Gradient"!